Happy Friday, friends! Last week I shared my favorite sweaters for fall 2018 and today I thought it would be fab to share the best 2018 fall boot trends that would pair perfectly with these sweaters! 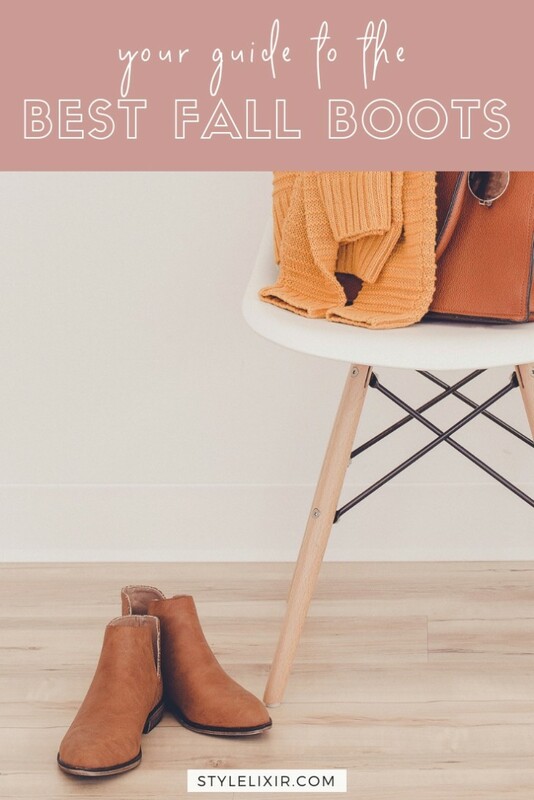 There are so many stylish fall boots out there and these are the best of the best! From classic black ankle booties like these Sam Edelman Hilty Booties, to leather over-the-knee boots like these Chinese Laundry Over The Knee Boots. I also believe every girl needs a statement bootie like these leopard print Rag and Bone Westin Booties and OMG Hunter Leopard Boots… yes, please! Which style is your favorite? Leave a comment below and let me know. Do you like wearing over the knee boots or ankle booties best? I have both and love over the knee boots to easily dress up an outfit. Just pair your fave skinny jeans, a classic white or grey tee, a black blazer and add OTK fall boots like these Sole Society Calypso Over The Knee Boots! Day to day, I’m all about ankle booties and these BP Barris Block Heel Booties are such a stylish and super affordable find. JOIN THE FRIDAY FAVES BLOG LINK UP! I’d really love to add a pair of leopard booties and a pair of white ones. I’m on the hunt and also wishing for cooler weather! Great boot picks. I have the Sam Edelman Chelsea Booties in brown and black and love them. They are really comfortable as well as looking good. Yay for fall boots! I am totally on the prowl for a leopard-print pair—love your picks!